There are some shawls that are not just pieces of fabric with fringe attached. 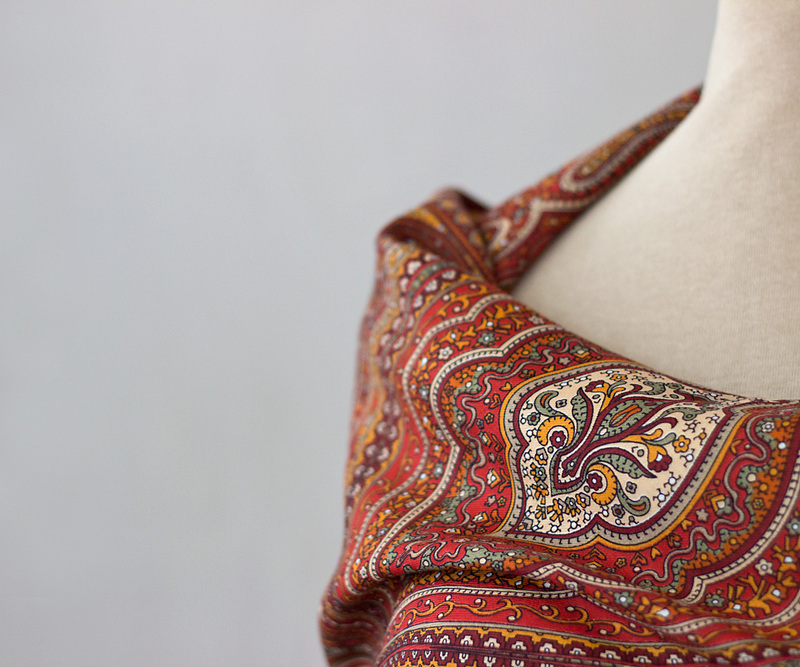 There are shawls with character and dignity. This is definitely one of them: it is so regal that it is hard for me not to curtsey when I see it. 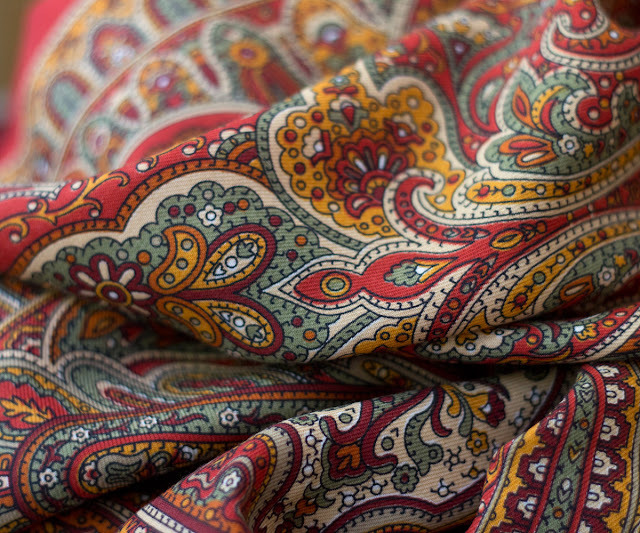 This Russian shawl is called Whimsical Evening ("Таинственный вечер"). It was designed by Natalya Belokur, a renowned artist of Pavlovo Posad Manufacture. In my view, it is a real masterpiece, full of harmony and energy. The combination of colours makes me think of oriental spices. This batch of shawls was printed at very special fabric - very tightly woven wool which feels cool and silky to the touch. It is not flimsy, even though it is rather fine. It is so large that you will feel very cozy wrapping all of yourself into it on a gloomy day. 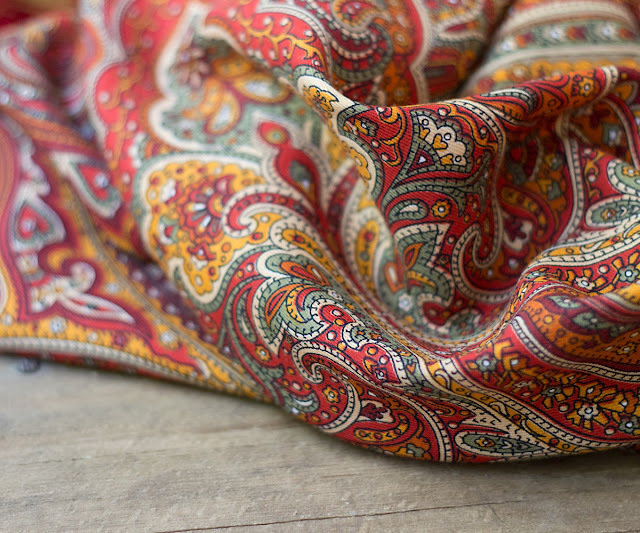 At the same time, you can wear it as a scarf, and it will not be too bulky as this is such a fine fabric. You can buy the shawl in my Etsy shop here. It is new with tag. 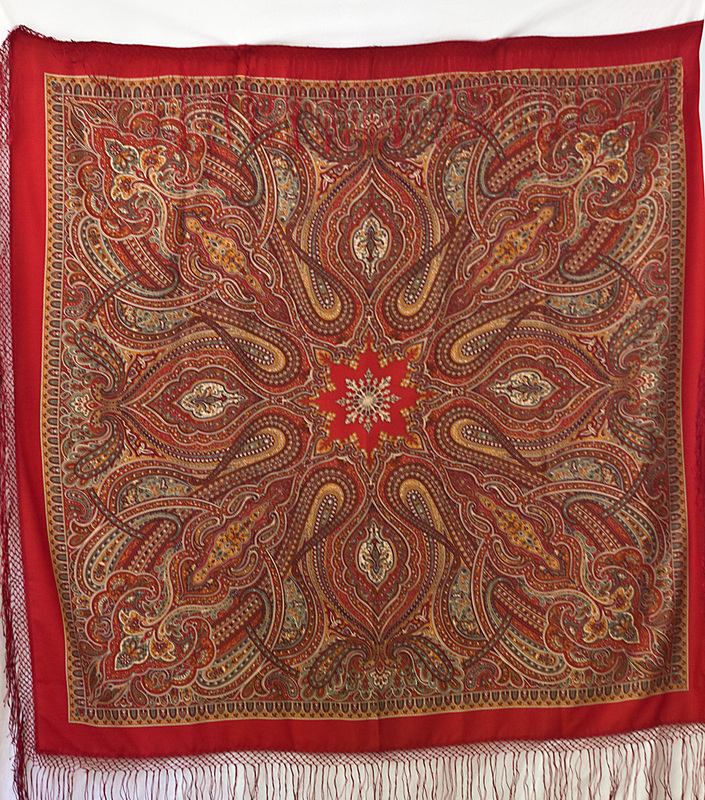 I do not expect to have another one like this, as they are quite expensive, and this one was obtained as a result of shawl swapping with a collector friend. 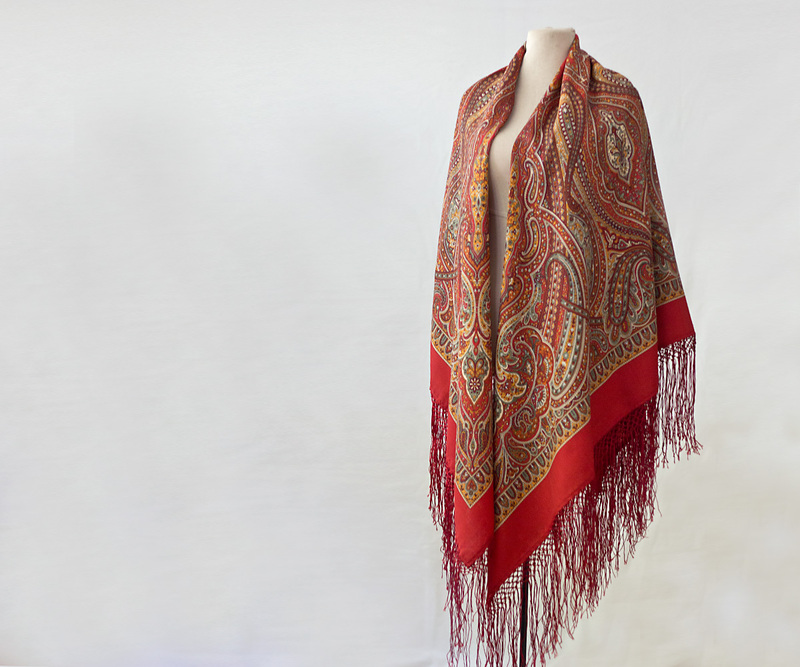 Very beautiful shawl and great photos! wow what a gorgeous shawl! Beautiful colors -- and great photos, too!